Genealogy and family history is a popular hobby and many people are anxious to learn how to get started on their own family tree. Here are a few quick tips for genealogy every beginner should know. As a new family history researcher, you need to gather all the things you already know. Gather up those old letters from Grandma, Aunt Betty’s family group sheets, pictures, newspaper articles, the family Bible, and anything that might hold a family clue. With these things, information you know yourself, and help from other family members, you are on your way! 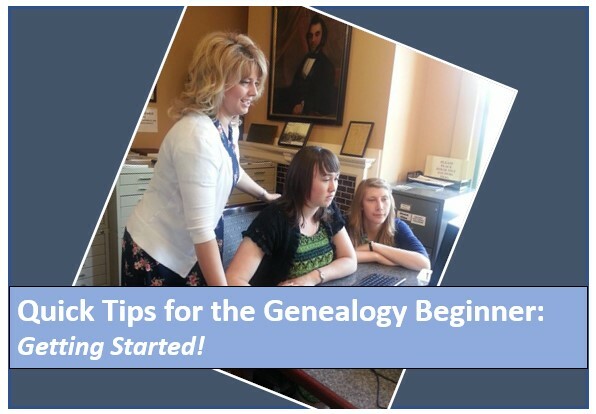 Tips for Genealogy: Get Started Today! When you begin filling out your pedigree chart, start with yourself on line #1. Your father will be on line #2 and your mother on line #3. Following the chart, you will see lines #4 and #5 are for your father’s parents. Lines #6 and #7 are for your mother’s parents. Consider using a genealogy software to collect and organize your family information. I prefer RootsMagic Essentials. If you click this link, you will be able to download a FREE version of RootsMagic for your PC or Mac. RootsMagic offers training videos on their website to help you understand how to use it. The program is very user friendly. Once you have downloaded RootsMagic Essentials, you will enter in the information you have collected thus far. 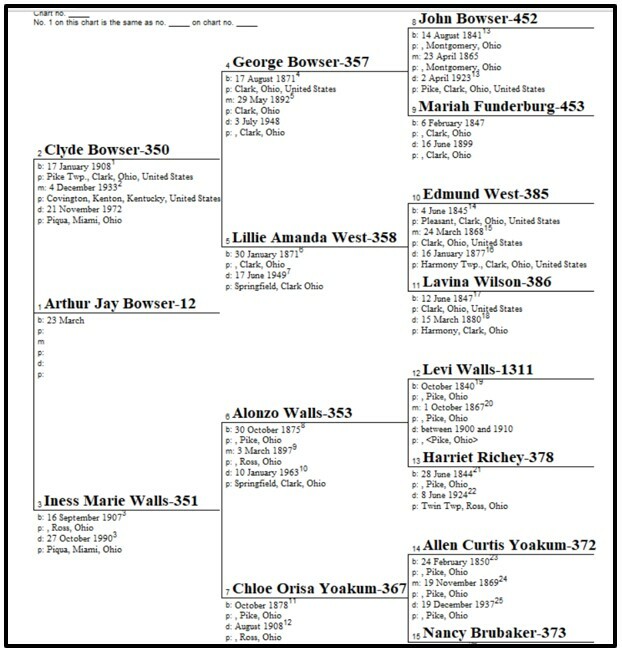 From here on out, you don’t necessarily have to use the paper version of pedigree chart, but instead, work from the RootsMagic Essentials program. Find records to fill in the missing pieces. Looking at your pedigree chart, what information are you lacking? What information have you not sourced or proven? For example, maybe you have always been told your mother was born on 3 Feb 1940. But, have you ever found a birth record or other record that indicates that date is correct? This is called sourcing your information and is needed for every event. Many people believe they need a pricey subscription to Ancestry to find birth, marriage, or death records, but that is not always the case. Many times, you will find exactly what you need by searching the FREE records at FamilySearch.org. To watch a video on how to use FamilySearch.org to find birth, marriage, or death records, click on the video below. 4. Join a local genealogical society that can lend you the support and direction you need. Joining a genealogical society in your local area will be of great help to you. If you aren’t sure whether a genealogical society in your area exists, just google your county name and the words ‘genealogical society’ and see what pops up. Take advantage of their monthly meetings and publications. 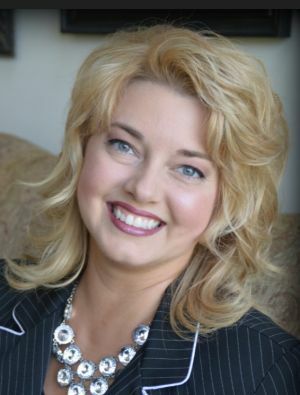 Usually, there is a cost associated with joining a genealogical society, but it is generally minimal and not required to be able to attend their meetings. Don’t forget to join a genealogical society in the county where your ancestors lived, too. You never know what cousins you may meet! If you have been doing genealogy and family history for awhile, what would you say are the best tips you could give a beginner? Feel free to share with us your best tips in the comments below! 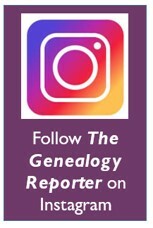 Follow The Genealogy Reporter on Instagram!